Good morning Chairman Lesch and members of the Committee. My name is Megan Peterson and I am the executive director of Gender Justice, a nonprofit legal and policy advocacy organization devoted to addressing the causes and consequences of gender inequality. Part of our mission includes combating sexual harassment in the workplace - and the many ways gender bias creates power imbalances that allow harassment to continue. Thank you for this opportunity to speak to you today in support of House File 10 to clarify the definition of “sexual harassment” to lower barriers to justice for more Minnesotans and empower employers to fully extinguish sexual harassment from their workplaces. As a legal organization, we have represented several victims of sexual harassment over the past nine years. We have represented both women and men. Our clients have turned to us after they failed to secure relief through their employer and found no other recourse than to seek justice through the courts. Our clients’ experiences as well as the stories of the brave women and men who have come forward as part of the #MeToo movement demonstrate that sexual harassment remains a widespread problem. It is a problem that disproportionately affects women and is even more pronounced at the intersection of gender, race, disability, and class. Sexual harassment damages its victims’ career development and future earnings. It contributes to unequal pay and status, effectively denying them an equal opportunity to succeed and provide for their families. The managers routinely made me choose between being able to pay for rent and food, and being sexually harassed and stalked. All while calling these men “my stalkers”. Two out of three women in Minnesota report they have personally experienced sexual harassment, and more than a quarter of all charges filed with the EEOC include sexual harassment or discrimination claims. But this is only the tip of the iceberg. The vast majority of people who experience sexual harassment at work never take legal action. Most don’t even discuss the problem with a manager. They’re right to be reluctant. Far too often, employees who speak out against workplace mistreatment report facing some kind of retaliation. Employers may dismiss or minimize the problem, or respond with outward hostility toward the victim. Sign up for news and updates from Gender Justice. Adding insult to injury, when survivors of sexual harassment have turned to state courts for help, their claims have too frequently been dismissed based on the federal “severe or pervasive” threshold. This legal test has never been a part of Minnesota law, and it flies in the face of common sense - reasonable people know harassment when they see it. But in just three words, the “severe or pervasive” test compromises the dignity of working people and violates our values as Minnesotans. 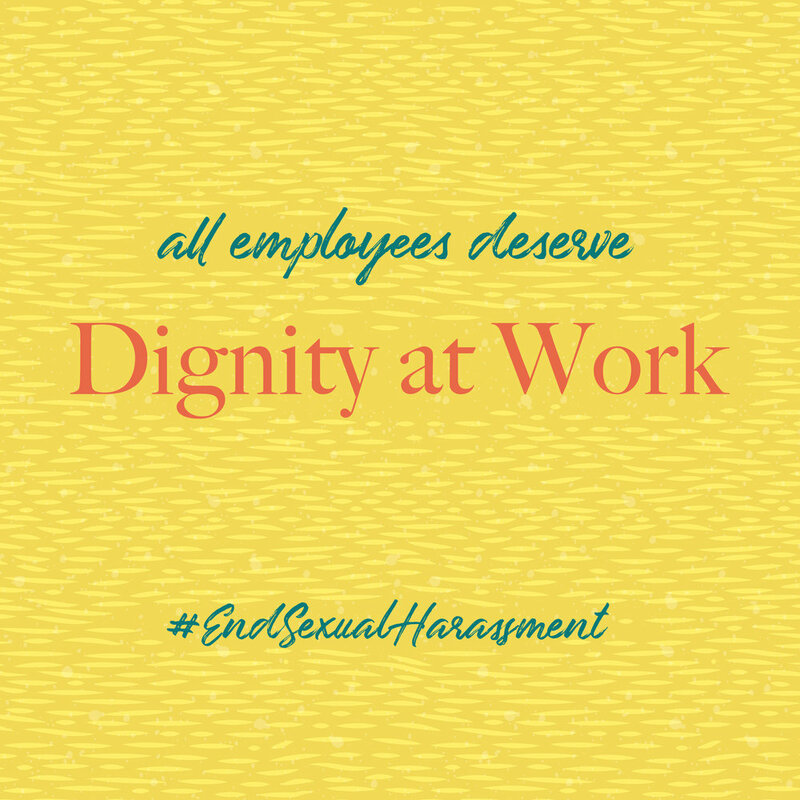 Employees have a right to expect that they will have a workplace free of harassment and discrimination, and given a fair chance to succeed. Removing this too-strict federal threshold will bring state law in line with reasonable workplace expectations, establish a clear legal framework for employers, and go a long way toward ensuring equality in the workplace. Fixing the problem of sexual harassment will require change on many levels -- this bill is one of the most meaningful and powerful solutions we have. Thank you.